Are You Ready for a Grand Event? 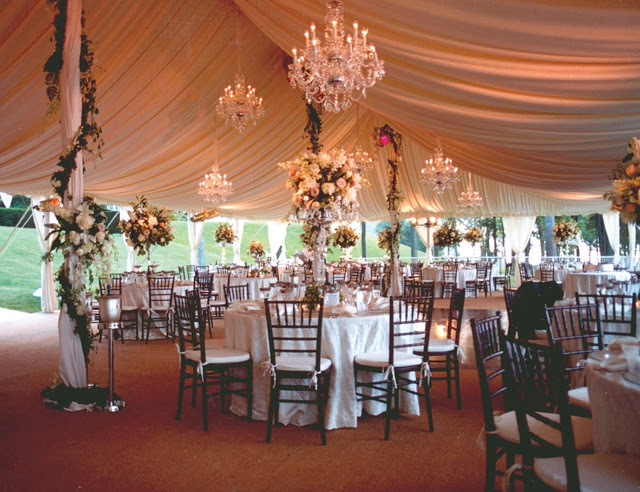 The team at Grand Rental Events will provide you with all your rental needs—from tents, tables and chairs to linens, china, flatware and glassware. Our staff has over 30 years of experience in event planning of all types. Owner, Robyn Howlett, has been in the event rental business for over 21 years and is an expert in all areas of event planning. Steve Hogue, Co-owner, is our resident tent expert and personally visits all tent sites prior to installation or quotes. Our Regional Director, Dwain Remsberg, located at our sales office in Frederick, MD, enhances our Odenton, MD team with the same excellent sales and event services, combined with a respected family history at Remsberg Tents from 1967 to 1995. In addition to the grand event expertise we provide, Grand Rental Events also works with and recommends several complementary businesses. Please visit our preferred vendors list for additional products and services to enhance your special occasion. Grand Rental Events is a MD certified MBE/DBE (MDOT #10-669), VA certified SWaM (#689886), and DC DDOT certified DBE (10-1210-1R) company.